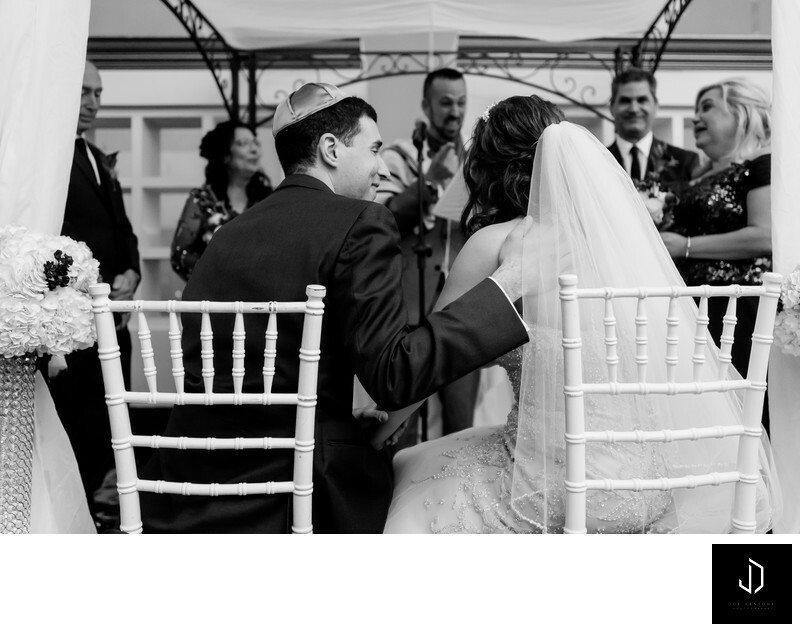 This image featured above was photographed during a Jewish Wedding Ceremony at a Cescaphe Wedding Venue Vie. Vie is a Philadelphia Wedding Venue just a few blocks away from Philadelphia's City Hall on Broad Street. Vie is a classy and modern wedding venue in the heart of Philadelphia. Being that it is owned by Cescaphe event group, you can e sure that being a guest at, or having your wedding here will be an amazing experience. During the Philadelphia Jewish Wedding above, the bride was starting to feel nausea and needed a seat. Her new husband decided to make sure he was sitting right by her side for the remaining part of the Philadelphia Wedding ceremony.